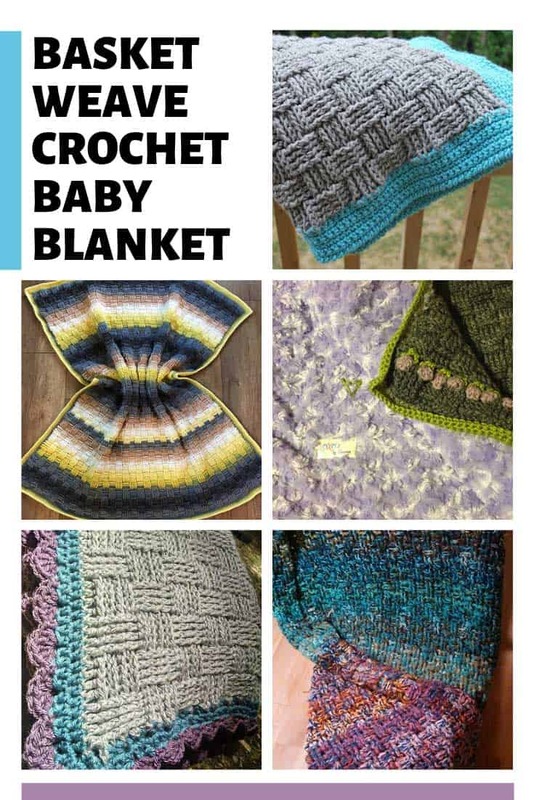 Everyone is loving our crochet baby blanket patterns so we’re back today with another one for you! 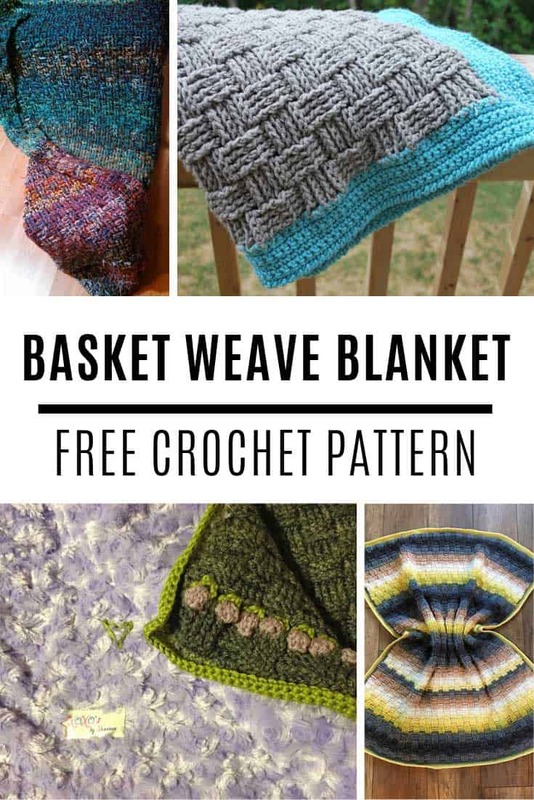 Have you ever tried the basket weave stitch before? It creates a beautifully thick blanket with lots of texture as you can see from all of the photos. 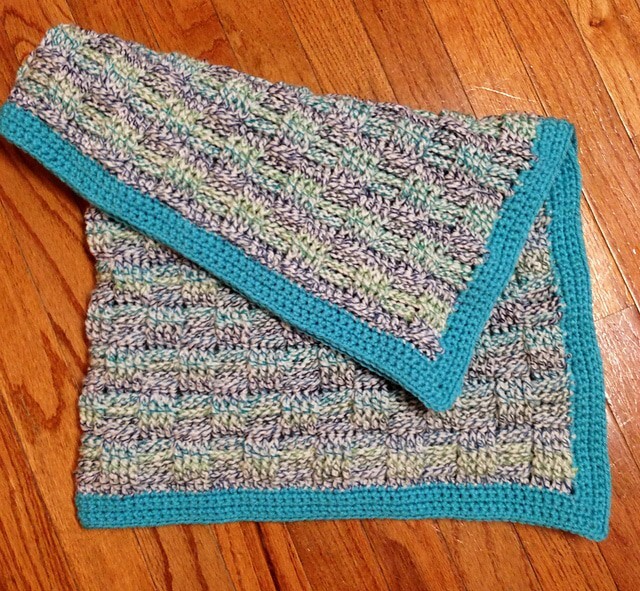 This basket weave crochet baby blanket is a free pattern that you can view at Patterns by Dot. It is best for intermediate level crocheters because of the front post and back post double crochets. 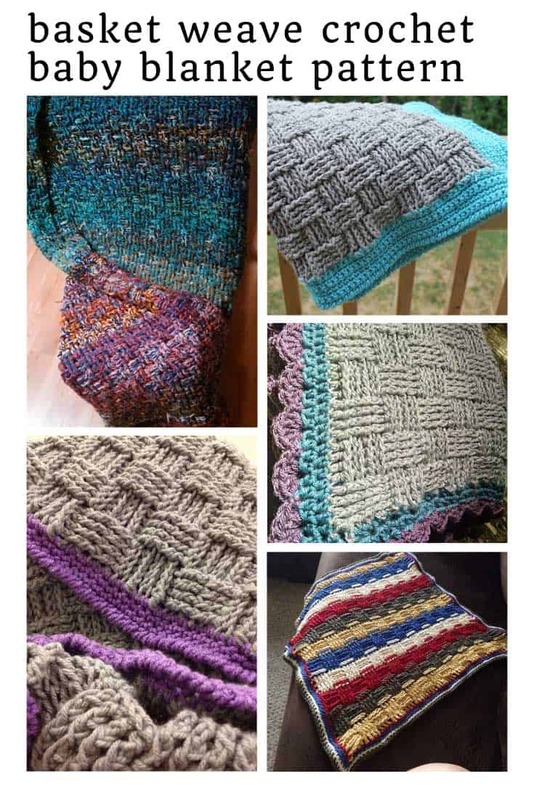 I love seeing a pattern brought to life and the different variations that can be made to it so I’ve been over at Ravelry stalking the 300+ completed projects for this pattern. I’ve picked out my favourites to share with you today, so scroll down and be inspired by all of the talented crocheters! First up, a video tutorial, just in case you are new to basket weave and like to see someone walk you through it step-by-step. 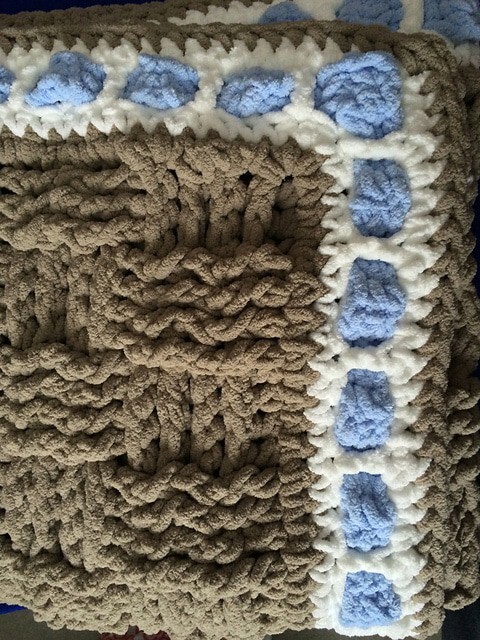 Kim used Loops & Threads Impeccable Solids in Clay with a Sea Green edging to make her version of the blanket. 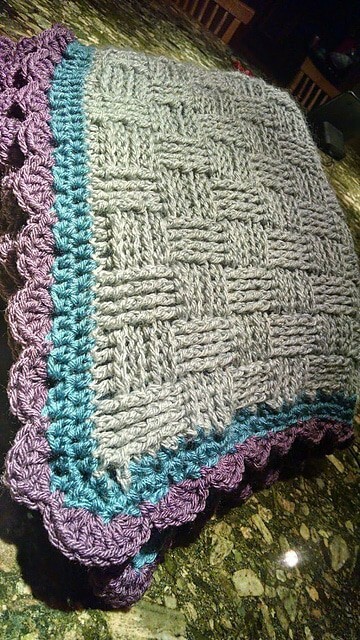 I really like the gender neutral color combination making it a great baby blanket for a boy or girl. 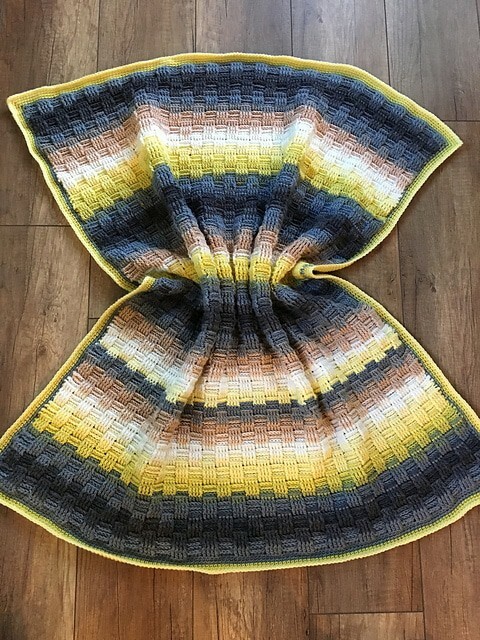 Carrie used the fabulous self-striping mandala yarn from Lion Brand in Serpent to make this stunning version of the blanket! I really love the color combination. 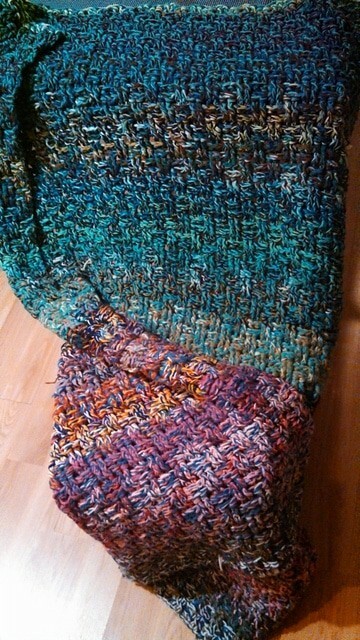 She increased the starting chain to 148 to make a larger blanket and used four skeins of yarn to complete it. 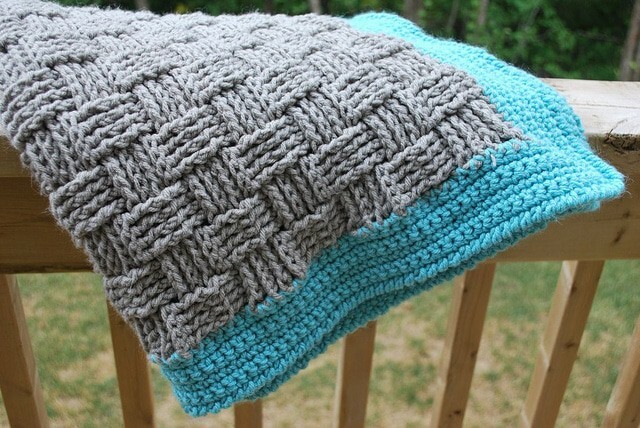 Ooh Shannon really switched things up with her version of this basket weave baby blanket! She added a really pretty floral edging and then backed it with super soft minky! 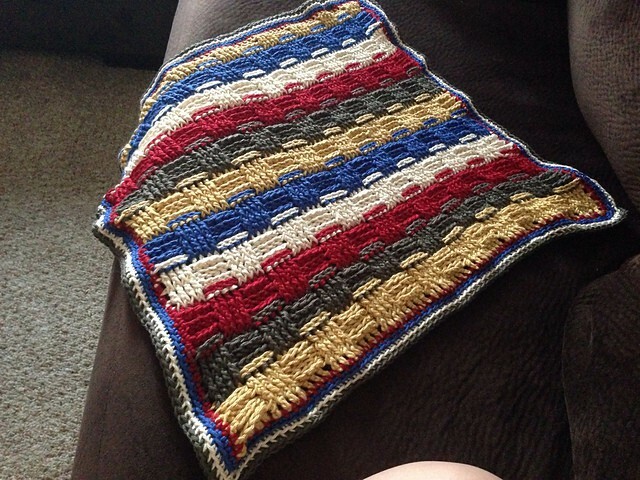 Sarah made her blanket for a baby boy and she added a border too. I think the white trim with the blue rectangles looks great against the brown basket weave blanket. 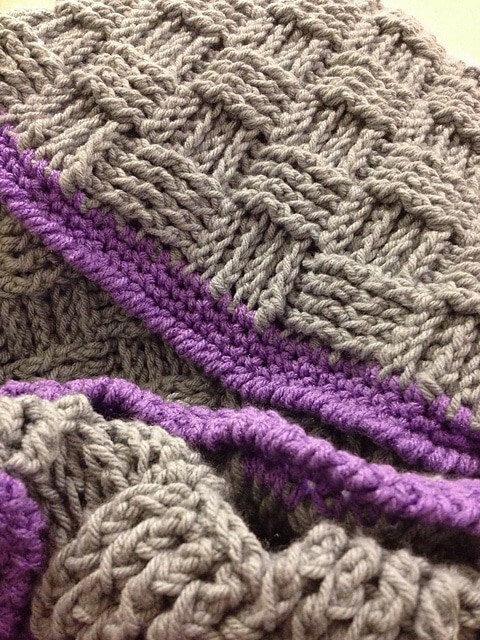 Heather used Bernat Softee in flannel for the main part of her blanket and then added a beautiful trim using Lion Bran Vanna’s Choice in Dusty Purple and Dusty Blue. She said the project was crazy simple to complete! If you are a die hard fan of Hobby Lobby’s I Love this Yarn you need to check out this version of the blanket. Kelly used the Colors yarn in Morning Star to create the patterned effect and says the finished blanket is thick and plush! 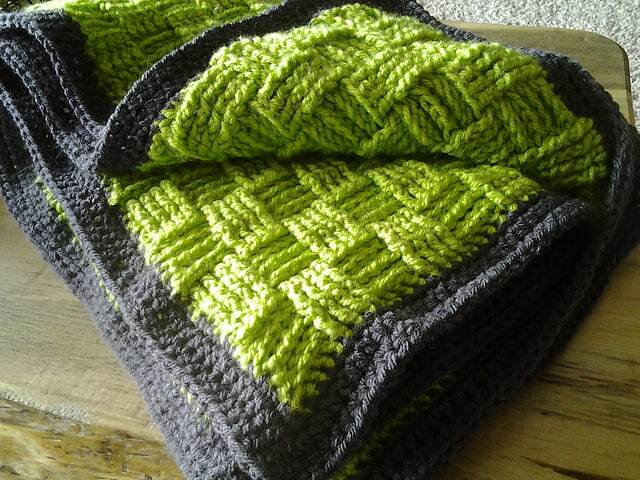 And here’s another example of the blanket worked up using I Love this Yarn, this time in lime green with a graphite edging. Jean switched up the edging from the original pattern doing two rows of half double crochet instead of the reverse half double crochet. I love the colours in this stripe variation and think this would make a fabulous boy baby blanket! 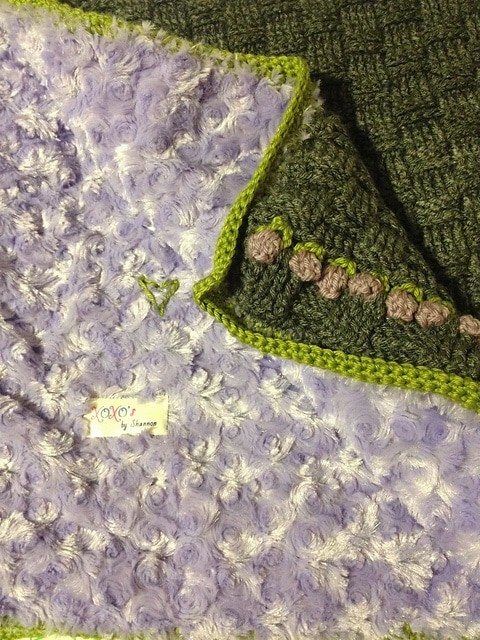 This was Ria’s first ever attempt at crocheting a blanket and I think she did a wonderful job! She increased the starting chain to make her blanket larger and it ended up being 42 inches by 57 inches without the border, which is a huge blanket! She says it’s very heavy but she LOVES it! I know how much you all love your scrap yarn projects so I just had to include this GORGEOUS version of the blanket. Jules used four strands together and just kept adding new balls when one ran out, until it got to a good size!